Thank you for an awesome season!! Backside Nines Inc. is Winnipeg's only comprehensive snowboard program designed to introduce the entire family to the awesomeness of snowboarding. Whether you are an early rider who has had a few lessons; a multi-year rider wanting to take it to the next level, maybe learn to compete or even train for Nationals; or an adult wanting to see what all the excitement is about. We aim to provide fun, confidence-building progression based snowboard training, for multiple levels of skill while teaching safe snowboard practices. Nowhere else in Winnipeg will you receive this much training on and off the hill. snowboard safely while still shredding the course. 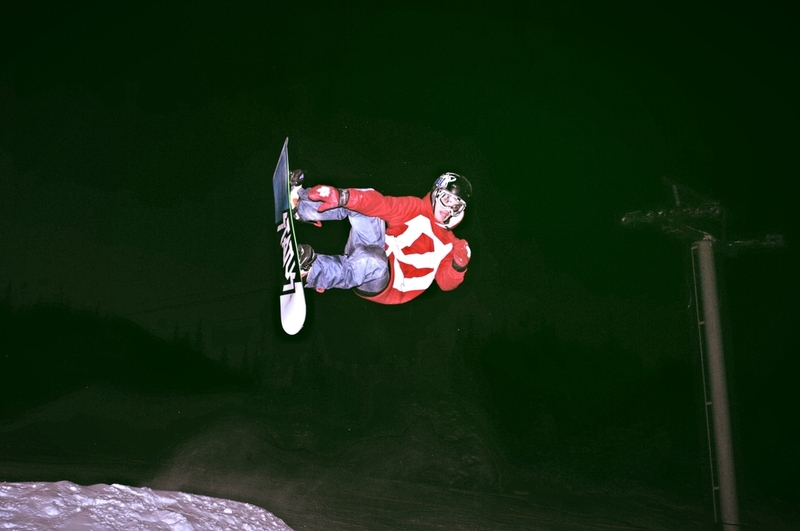 Backside Nines Inc. was founded by a family of passionate and dedicated snowboarders. Riders and parents always come first because after all, we are riders and parents ourselves. We know the costs of sport and will strive to educate parents on how to get the best value for every snowboarding dollar. Backside Nines Inc. is registered as a Not For Profit corporation. Two teenage competitive riders are in our family who began their careers on the bunny hills in Banff. Now they watch snowboard videos on a 30 degree day in July and shovel zamboni snow at the local hockey rink in August to create a makeshift snowboard run! Sound familiar? If not, it may after your athletes join Backside Nines Inc.! Early riders that have completed introductory snowboard lessons and feel comfortable on their board. Multi-year riders who are looking to further develop their skills and pursue recreational competition. Competitive athletes wanting to prepare for Nationals. Adults that have completed introductory snowboard lessons and don’t want the kids to have all the fun! To provide a premier snowboard development program in Manitoba. To provide high quality; passionate snowboard coaching.